Subaru declassified a new product - a WRX STI S209 sports sedan. The most powerful production machine in the entire history of the Japanese company declassified in Detroit. Subaru WRX STI S209 received a heavily upgraded 2.5-liter 4-cylinder engine for 345 'horses.' The unit has an enlarged high-pressure turbine with a driven supercharger. Even Subaru Tecnica International engineers used forged reinforced pistons with connecting rods, a different intercooler, enlarged injectors, etc. An engine operates with a specially tuned 6-speed manual gearbox and permanent all-wheel drive. Another sedan had a central limited-slip differential along with an active 'Nm' distribution system. 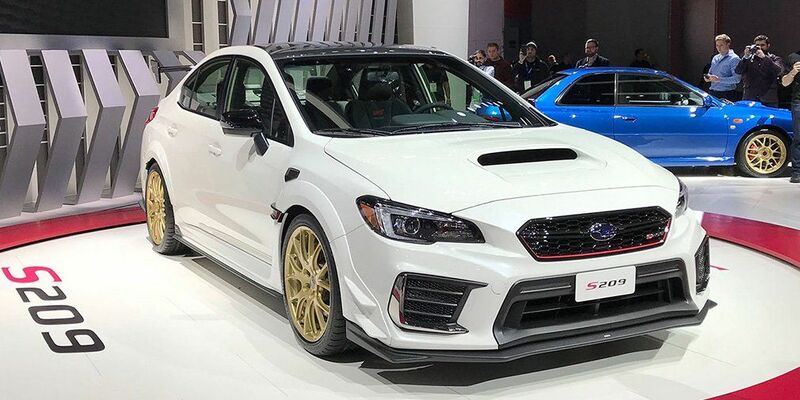 Latest Details is that Subaru WRX STI S209 now has Bilstein shock absorbers with stiffer springs, a brand new rear anti-roll bar and Brembo 6-piston brakes in front. The novelty will appear in the US at the end of this year.